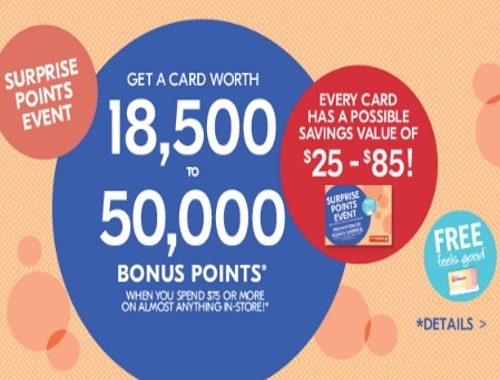 This weekend is a Surpise Points Event at Shoppers Drug Mart! Get a card worth 18,500 to 50,000 Optimum Points when you spend $75 or more on almost anything in the store. Every card has a possible $25-$85 savings value reward! Offer is valid Saturday, October 7 - Sunday, October 8 2017 only.